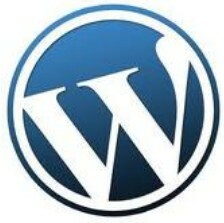 If you are using WordPress themes created by others, it is essential that you maintain the credit link. However, there are some cases where the creator links to some health or gambling sites to the WordPress theme footer. These links would affect the search engine rankings of the linking blog. Credit links on the WordPress theme footer are usually encrypted and normal users will not be able to remove those unwanted links. So here I am dealing with a very simple 5-minute method to remove credit links from WordPress footer. WordPress themes are released under GPL license. So derivative works from a theme should also maintain a link to the original theme producer. You don’t need to be an experienced PHP programmer to remove credit links from WordPress footer. Read this method carefully, you would be able to do this in a few minutes. Install the required theme from your WordPress dashboard. Open you WordPress dashboard and find the footer theme file. You will see some encrypted characters within the footer.php file. These are actually the code for encrypted footer section containing unwanted credit links. Now open up the index.PHP files and search(Ctrl+F) for the footer section . Now we will mark this footer section for easy identification from Firefox code view . Just replace the above line of PHP code with following . Now save your WordPress themes’ index.PHP file . Now Open the blog page in Firefox and press Cntrl+U. This will open the code view in Firefox . Now press Ctrl+F and search for our footer identification tags. That will be appearing in the HTML code for footer section of your WordPress theme. This section also contains the unwanted credit links. Copy everything in between identification tags and paste it your text /HTML editor. Now remove all credit links from your WordPress theme’s HTML code and save . Now reopen the footer.php section from your WordPress theme editor and replace the encrypted code with the saved code. Save the footer.php and Open up your blog to see what happens now. what if my index.php is encrypted too? Great tip. Lauren, be sure that you’re looking at the proper index.php file. It will be the one located under your current Theme’s folder location. Wow! I cannot believe how easy that was. Many thanks! Watch out, if the ‘$str’ contains php-code which need to be excecuted every time you start, this method won’t work. I use “All in one Webmaster” plugin. so can i remove the footer link using this tricks ? It is a great post . But they have not mentioned the license which they release the themes under and asking $40 for each theme to remove the links .Am I allowed to remove them as you said? 2)By the way some other theme developers don’t encrypt the theme and ask us not to remove the footer branding .How do I proceed with such themes? 3)And some other themes would be release under creative-Common-License.What do we do with them? Thank you so much for taking your time and sharing this info. It works easily and the explanation is very simple even for beginners. Keep up the great work! how to remove creative common license link from wp footer. they encrypt code in functions and header and wont allow me to change any on footer.php. if i do so, my site will be blank with short message from them. I managed to remove what I wanted to but kept the powered by wordpress but for some reason on the side in a couple of places shows.. eyes with a smiley below. How do I remove that bit? If you got to my blog you can see. Thank-you! I know it’s something to do with my footer.php file.